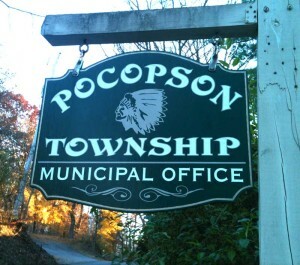 Home A: News Pocopson to hold Comprehensive Plan meeting, Wed.
Pocopson to hold Comprehensive Plan meeting, Wed.
POCOPSON — Township residents are urged to consider their views for the future of the community, at a meeting Wednesday night. What should be done about recreation, parks and scenic resources? How can open space, historic and natural resources be further protected? Who will benefit from facilities and services? Township officials are asking residents to speak up because the township is updating its Comprehensive Plan – a document intended to provide the community with a vision for the future. The township is planning for its future, and required to do so, under the Pennsylvania Municipalities Planning Code which states that the plan should include objectives for future development, a plan for land use, a plan to meet housing needs of present and future residents, a plan for the movement of people and goods, a plan for community facilities and utilities, a plan for the protection of natural and historic resources and discussion about short and long range plan implementation strategies. Many of the action items from the current plan, adopted in 2001, have been realized including increased natural resource protection and the development of Pocopson Park. The update began about a year ago when Pocopson Township contracted with the Chester County Planning Commission through the Vision Partnership Program, which provides a 75% in-kind match. For further information, visit www.pocopson.org.